Caprese Pasta Salad: Pasta is tossed with a homemade balsamic dressing, cherry tomatoes, fresh mozzarella, basil and Sun Dried Tomato Chicken Sausage for a delicious and healthy pasta salad recipe that is fit for a main course or a hearty side. 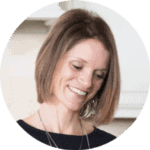 I am excited to partner with al fresco all natural chicken sausage for this post. As always, all opinions and recipe are my own. There are few combinations that are better than juicy summer tomatoes and fresh mozzarella cheese. I look forward to farm fresh tomatoes all year long so that I can make simple dishes like Caprese Quinoa, or Tomato Mozzarella Pizza. It is such a simple classic combination that truly is magical–a lot like the pairing of peanut butter and chocolate. Italian Restaurants everywhere have the standard Caprese Salad, which is just a simple salad made of sliced fresh mozzarella, tomatoes, and basil, seasoned with salt and olive oil. And while it is easy to recreate a Caprese Salad at home, I rarely can resist ordering it out, because it is one of my most favorite combinations ever. Hence, my the inspiration behind this easy summer pasta salad. If you have been a fan of A Mind “Full” Mom for any amount of time, you are well aware that I am not gifted when it comes to gardening. BUT, thankfully, my neighbors are. And when my one neighbor gifted me a large bunch of basil and another gifted me fresh cherry tomatoes, I knew exactly what I wanted to make–an easy Pasta Salad with tomatoes, basil, and mozzarella. I could have stopped right there with a simple salad of just noodles, tomatoes, basil and mozzarella and olive oil and all would have been delicious. However, with the addition of al fresco all natural Sun Dried Tomato Chicken sausage and a homemade Balsamic vinaigrette, I took this Caprese pasta salad from good to STELLAR. The chicken sausage is full of basil, garlic, and sun-dried tomatoes, which lend themselves beautifully to the a caprese dish. The chicken sausage also makes this pasta salad hearty enough for a complete meal, which is exactly what my family has done for several summer dinners over the last month. Making a pasta salad of any kind, is really quite easy. For this Caprese Pasta Salad, it takes me about 20 minutes start to finish to prep. I grill or pan fry the chicken sausage while my noodles cook. I also quickly whip up the balsamic dressing and chop the basil and tomatoes while the noodles and sausage cook. Once the noodles are prepped, everything is mixed together and then can be served warm or chilled for a few hours to have a cold pasta salad. I have to say, that I love tossing the fresh mozzarella cheese into the warm noodles so that it melts slightly, but if you prefer your mozzarella in chunks, wait until your noodles have cooled to add in the cheese. For Caprese pasta salad, a chiffonade of basil is best. Sounds fancy, right?! It is as easy as stacking up the leaves of basil rolling, and then slicing for ribbons. Super simple and perfect for this pasta salad. A lot of people are a bit afraid to make homemade salad dressing, but there really is not a more simple thing to make than homemade vinaigrette. For this balsamic dressing, whisk together olive oil, quality balsamic vinegar, garlic, salt and dried oregano–that is all there is to it. What pasta is best for pasta salad? When making a pasta salad, you want to think about choosing a type of noodle that is easy to grab with a fork, and has a large enough surface area to grab and hold onto the dressing. I personally like bow tie, rotini, cavatelli, or corkscrew pasta. You can use whole grain, whole wheat, veggie, or white durum varieties for pasta salads. 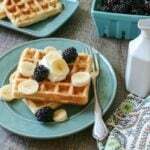 I always opt for a whole grain pasta noodle when I can, for added nutrients and additional fiber and protein, making the glycemic load of pasta much less than white pasta. Choose a gluten-free variety for a Gluten-Free Caprese Pasta Salad. Final note about pasta for pasta salad: Do NOT rinse cooked pasta. This removes all the starch that helps the dressing stick to the pasta, not to mention the flavor of pasta. Looking for More Easy Pasta Salad Recipes? If you feel your pasta salad is dry, drizzle with a a tablespoon of olive oil before serving. I prefer fresh mozzarella for this pasta salad, but you could also use shredded mozzarella if that is all you have on hand. Cherry tomatoes, roma tomatoes, or vine-ripened tomatoes are all options for this tomato mozzarella pasta salad, just be sure to seed vine-ripened tomatoes before adding to the salad. Feel free to omit the chicken sausage if you need a vegetarian pasta salad. 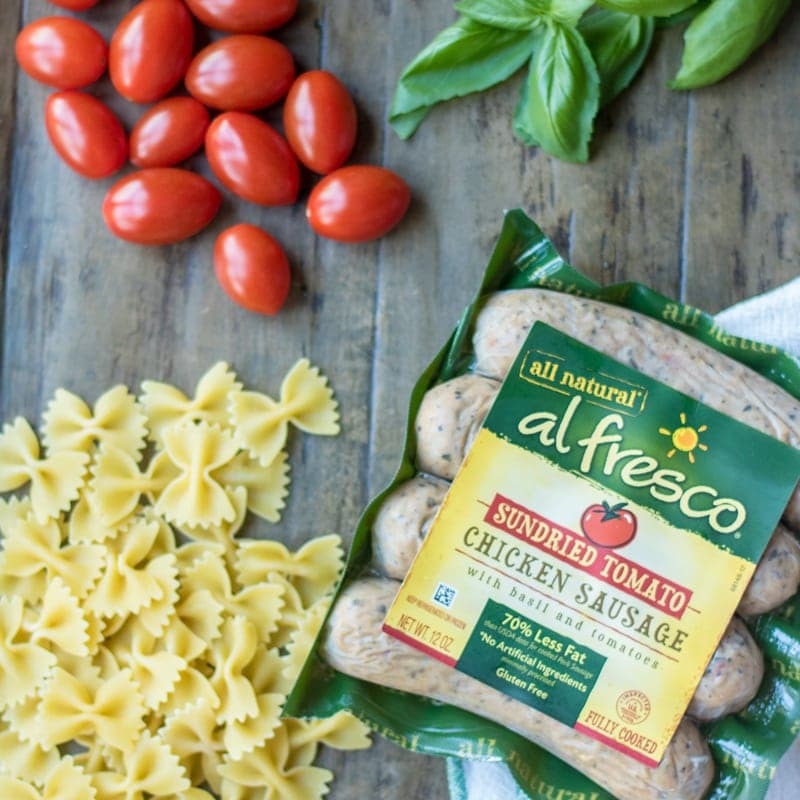 If you are not vegetarian, I highly suggest adding the alfresco all natural Sun-Dried Tomato Chicken Sausage, it adds IMMENSE flavor and compliments the Caprese pasta perfectly. Mozzarella Pasta Salad can be served warm or after refrigerating for 4 hours or overnight. Caprese Pasta Salad can be stored safely for 3 days in your refrigerator. It can not be frozen. While basil is traditional in caprese recipes, if you family is not a fan of basil, you can omit and still have a delicious balsamic pasta salad recipe. 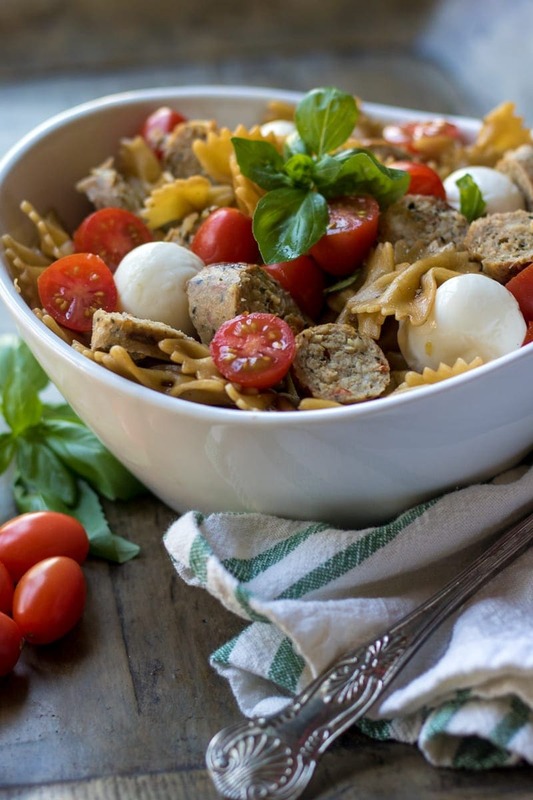 Pasta is tossed with a homemade balsamic dressing, cherry tomatoes, fresh mozzarella, basil and Sun Dried Tomato Chicken Sausage for a delicious and healthy pasta salad recipe that is fit for a main course or a hearty side. Cook the pasta in salted water according to package directions. While the pasta is cooking, grill the chicken sausage links over medium-high heat for 6 minutes. You can also pan fry the sausage. Add 1 tablespoon of olive oil or vegetable oil to skillet. Place sausages in skillet and heat on medium high about 7-9 minutes, turning frequently. If you are really in a rush, you can also lay sausage on microwave safe plate, cover with a paper towel and microwave on high for 30 seconds. While pasta and sausage is cooking, slice the tomatoes and basil and mozzarella if not in small balls. Once the sausage is done cooking, slice the sausage into 1/2 inch chunks. Once pasta is done cooking, toss with 1/4 cup of the balsamic dressing and let cool for 5 to 10 minutes. Add the remaining dressing, tomatoes, mozzarella, sausage, and basil. Toss well and serve warm or refrigerate for 4 hours or overnight before serving. To chiffonade basil: stack up the leaves of basil and then roll them up and slice into ribbons. I love all these flavors! What an easy dinner idea my whole family would enjoy! Thanks! Erin, if you love Caprese, you will LOVE this pasta salad. And yes, SUPER easy for the win! This is Summer dinner HEAVEN! I’m all about the fresh garden grown tomatoes. And I MUST try those sausages! They look so good, I love that they are all natural. Thanks for this fab recipe. 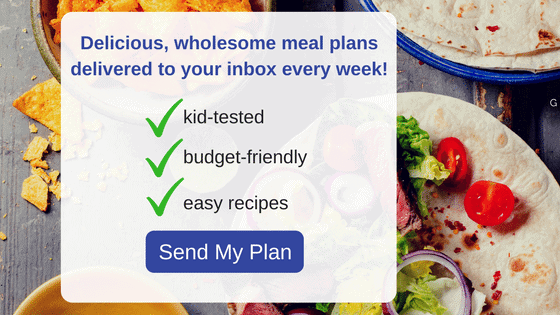 I just know you will love this meal Chellie-and al fresco sausages are our most favorite–so tasty and so healthy! Enjoy my friend! I love a pasta salad! They’re so simple to make and so delicious! They are so simple and this one is especially tasty. I hope you enjoy! What a yummy summer meal! al fresco chicken sausage is hands down my favorite of all time! Holly, I couldn’t agree more! Al fresco is delicious!